We're excited to have Katie Sise here to tell us more about THE PRETTY APP, her companion novel to THE BOYFRIEND APP. Katie, what was your inspiration for writing THE PRETTY APP? When writing THE BOYFRIEND APP, I always felt like there was more to Blake's story. I wanted to know more about why she acted the way she did. And I was intrigued by the idea of writing about a teenager who thinks the only thing of value about her is being beautiful. My favorite scene in the book is between Blake and her sister, Nic. It occurs at Notre Dame, (my alma mater), and the college where Nic is enrolled and where Blake and Audrey will attend in the fall. As I was writing THE PRETTY APP, the way the relationship between the two sisters develops was as (or more!) important as the romantic relationship between Blake and Leo. She's also a friend of mine, so I'm partial, but I always hear readers say that there's a similar tone and style. How long did you work on THE PRETTY APP? What do you hope readers will take away from THE PRETTY APP? Someone once told me to continually make things hard on your characters, no matter how much you love them. That helped! Throwing challenges at my characters in every chapter helps move the book along and creates suspense. I always write in quiet. I get too distracted with music. I do love writing in a coffee shop, but for now, I write at home while my son naps, and on weekends, too. So that means I write a little less than twenty hours a week. When my children are in school, I'll go back to a full-time writing schedule. But for now, this works! Just keep writing. Every day. I think the only reason I got published was because I'd written for so many years and had practice at it, so when the more salable idea came along, I was ready! I'm so excited to be working on another romantic comedy for Balzer + Bray! This one has an entire new casts of characters, and it's been so much fun to write so far! 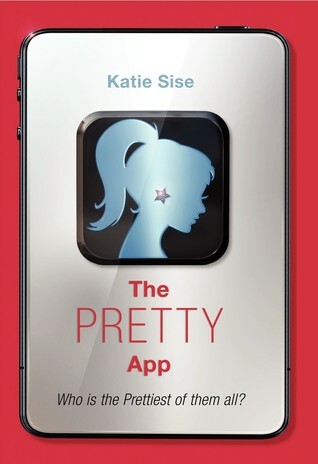 What did you think of our interview with Katie Sise, author of THE PRETTY APP? Let us know in the comments!